Our neighborhood survived Hurricane Sandy. But that’s not what this post is about. Instead, I’d like to focus on those people who survived with only the clothes on their backs. Literally. Just down the road from our little neighborhood, the need is great. 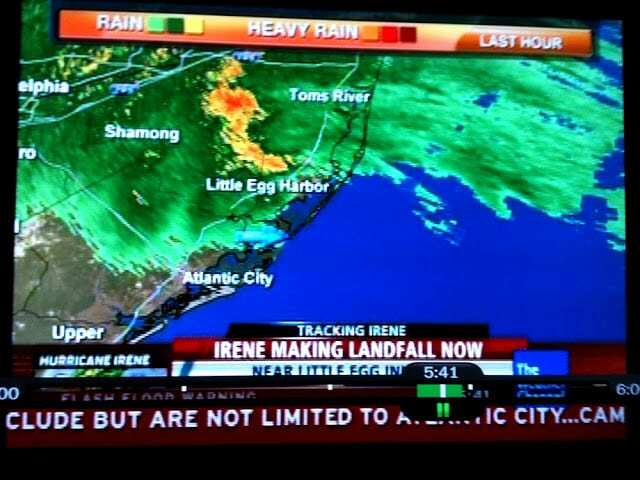 (You can click here to read more about the Little Egg Harbor area of New Jersey, and how hard this area was hit.) 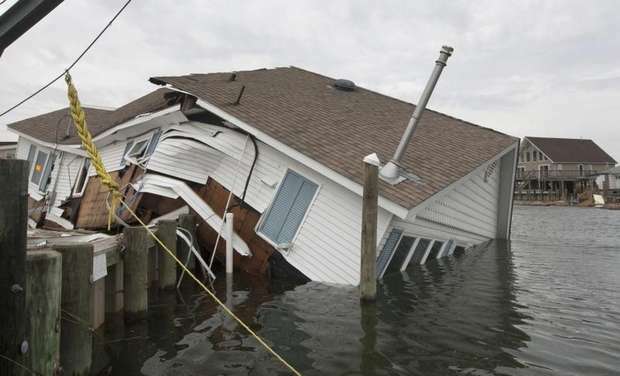 Many homes are gone, flooded, wiped out, total losses. 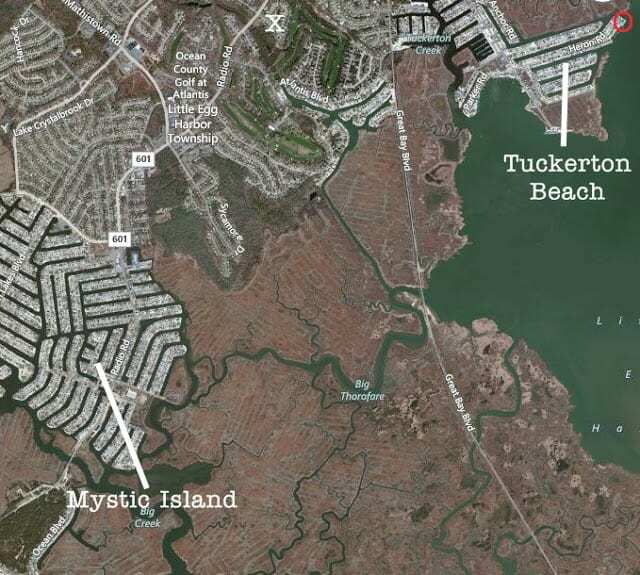 Mystic Island and Tuckerton Beach have been wiped out. Read more here. 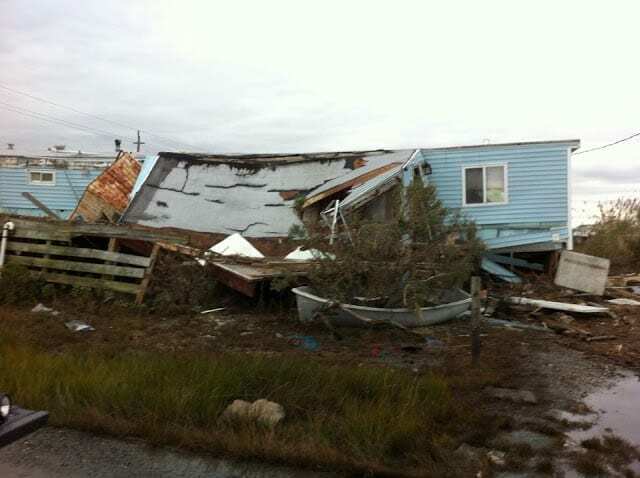 These are just two of the many coastal communities devastated by Sandy. One of my sis-in-laws went to volunteer at the local Hurricane Shelter set up at the middle school. She spread the word about what items people needed, including socks. My other sis-in-law and I, along with her kids, went over there that same night with clothes and socks to donate. I couldn’t get the socks thing out of my head. People needed socks. People were walking around barefoot. But it was more than that, this sort-of obsession about socks. Putting socks on cold feet signifies warmth and comfort – a small bit of goodness during what will be a long and difficult road. It bothered me all night. Yes, we live at the shore. Going barefoot goes hand-in-hand with living at the beach. But after this storm? It is much chillier around here. And the forecast is for another possible storm to arrive in about four days. People need socks for warmth. Now. The next morning, I was doing some laundry for the second round of clothes I was going to donate – you know the pile in your closet that doesn’t fit anymore, but you keep them for “when” you go on a diet and fit into them again? Yeah, that’s what I donated. I’ll lose the weight later. left of it – in West Creek, New Jersey, which is only 10 minutes north from here on Route 9. Anyway — As I was doing laundry, I kept thinking about my fellow DIY and craft blogger friends on Hometalk and how supportive they are as a group. So many wanted to know how we were, how the people around us were. I swear these gals have the biggest hearts! I posed a simple question to them, and they said yes. So here we are. Our mission is a simple one. And has a fast turn-around time too. We’re focusing on providing warm socks, gloves and winter hats to those who need it most right now. Also urgently needed are new packages of underwear for men, women and children. We need these items for all ages, all shapes and sizes, for men, for women, for babies, for children. Please mail by November 14th if at all possible, as the need is urgent! If you need more time, that’s OK too. Just please send what you can as soon as possible! February 2013 update: The Socks for Sandy project has concluded. Thank you to everyone, from the bottom of my heart! I will receive all packages and immediately take these to the local hurricane shelter for distribution. Any excess will be given to the other hurricane shelters up and down New Jersey’s coastline. This can be a great project to involve your kids in, because it all comes down to giving a bit of warmth to someone in need. What started as an idea has blossomed into warmth. And it is simple to get involved. Donating directly to the Red Cross is still the fastest way to get your money into the hands of those who need it the most. 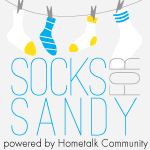 I want to thank my blogger friends from all over the country who are making Socks for Sandy a reality. Please click here to view a list of blogs (with links to each one) who are helping me. 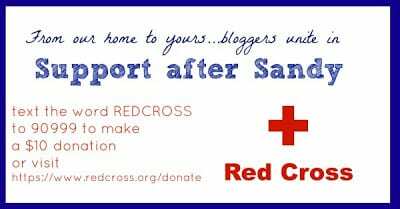 The list includes the state or province where each blogger is based, showing the wide network of support! And last but definitely not least: I want to thank you, from the bottom of my heart, for your help. Many people want to donate something tangible that they know will be of immediate help, so that’s why I’m doing this. Thank you very much for your generosity! That’s fantastic Patricia! Thank you very much! I look forward to giving them to the shelter volunteers to distribute to the storm victims. Awesome, awesome Sherry! Your help and support is truly that: awesome! Hi Laura. My heart goes out to all the people who are without the comfort of their homes, their belongings, or even electricity. As so often happens when there is a tragedy of this magnitude, many of us are left wondering what is the best way to help from so far away? Thanks for organizing this. We have some toasty warm wool socks to get into the mail this week. I will post Socks for Sandy tomorrow and keep sharing on FB to get the word out to as many people as possible. Thanks! Awesome idea! These poor people, I can’t begin to imagine. To have entire houses just disappear… I will try to get a package to you on Monday! What a great idea. My college roommate lives in OC New Jersey and has shared whar is happening there and surrounding areas. I will do my best to get socks out to you this week. Thank you so much Megan, to you, Rob, and your entire family! I hope your college roommate stays safe and warm. Thank you Liz! I appreciate it very much! I will head to the store today and mail them tomorrow…thanks for giving us something concrete to do…we all feel so helpless for everyone suffering through this tragedy. Carol, the thanks go to YOU and everyone like you who is reaching out to help! I’m just glad I can provide a way to do so. Thank you! I love this! I am a school teacher in Tennessee looking for ways my school can help. I have been in contact with the NJ dept. of ed and have been given some contacts, but would like to do something immediately. If I can get this ok-ed with my principals, can we send you a package next Monday? Awesome Kari! Thank you, thank you, thank you! GREAT!!! I am typing up a letter to go home now!!!! My kids did this for Japan a couple of years ago while they were in school in NJ. So glad to see that someone is doing this here. We will be getting some things together too! I love that your kids did this a few years ago – I think it is a great project for kids to do! I see you’re in Lakehurst, and hope you are doing ok. Thanks so much for your support! Laura, I featured this project on my blog and linked everyone back to yours to get the address. Hope that is OK. Trying to spread the word to help you! Thank you for sharing this with your readers, Trina! The power outage you went thru back in 2006 does not sound like it was fun at all! 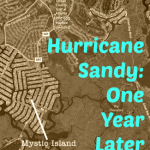 I hope that in time, Hurricane Sandy will be only a bad memory to everyone too. My kids and I have lots of stuff like this packed away. We will go through it this week and send it! My step mom grew up in NJ and was there visiting an aunt who is about to pass away and couldn’t get out before the storm hit. She was finally able to make it home to Arkansas today. I’m glad that your step-mother was finally able to return home today, and I wish her family much peace at what is no doubt a difficult time. Thanks so much for your help Alana! Sending socks and hats your way. Also send my hubby (not to your PO box) with his Army Preventative Medicine Detachment unit to NJ to help! After experiencing Hurricane Ike a few years ago, I know how they feel. I’m happy to help in this way and will spread the word! You are awesome to do this! Oh wow Tina – Hurricane Ike was also a devastating storm. Thank you for helping! YOU are awesome! What a great idea Laura! We will be sending a package your way this week. Is it ok to send nice “used” hats & gloves? I know my daughter has a really adorable set that she barely wore last year that does not fit her this year. If it’s ok with you, we will throw those in the package too. This is so wonderful! Your heart is so big and you’re doing more than you’ll ever know. I’m spreading the word fast and furious and praying it helps! My heart is so big because it is bursting with joy and awe at the generosity of people wanting to help! Like you, Donna! Thank you for everything you’ve done to help get the word out. It means so much to so many! Thanks Laura, I am posting this on my blog. It’s always nice to have a connection on the front lines! Many, many thanks to you Cathy! I’ll definitely be doing updates here on my blog all this week, plus respond to all comments and questions here too. Thanks so much for this. Some people don’t trust the Red Cross but being able to clean out the socks drawer and know that “someone” will actually receive them is awesome! Perhaps people can start the same thing for shirts or blouses! Hugs, hugs, and more hugs to you Jessica for your help and support! I couldn’t have done this without all of the awesome support from the bloggers of Hometalk like you! Thank you for doing this! I just shared this on my blog.I am also sending a package out today! If we all help we can make a difference! Thank you so much Anne for everything you’re doing to help!! Thanks for your question. Any winter hats, gloves, mittens or socks you can send would be a welcome bit of warmth for those who need it the most right now in this area! Yes, the address listed within this blog post is the place to send all packages. Thank you so much! This is great Laura! Spreading the news with my followers and readers, as well as my community: http://www.sasinteriors.net/2012/11/help-those-affected-by-sandy-socksforsandy/. I also said there was a need for plus-size women’s clothes as you commented to someone above. Do you know of other items that are needed?? Many thanks Yvonne for your generosity! Bless you for helping out in a tangible way and inviting others to join you! Thanks for asking Paula! As of right now, Monday evening, I’m told there are enough clothes from all of this area’s fabulous donations gathered over the past few days! So I’m keeping our focus on socks, gloves (or mittens!) and winter hats. Those are much needed. Thank you for your help! I’m reposting this on my blog and I hope you do not get overwhelmed with boxes! but this kind of overwhelm is better than the one that is desperate and in need, yes? 😀 hugs and blessings. Oh thank you SO MUCH for sharing this with your blog’s readers! If we get overwhelmed – it will be a great way to be overwhelmed! Your support is really appreciated! What about blankets and things for the babies? I know they require quite a bit of things… What a wonderful thing you are doing! My heart aches for all the families who lost a loved one or their home.. So very sad! Yes, you’re right, so many things are needed right now. My focus is on getting warm socks, gloves and hats to keep everyone warm —–>> which includes socks, gloves and hats for babies, which can be so helpful to families in these shelters. Thanks for asking! Laura: I would like to get my school involved. I’ve been looking at different ideas and think this one is great and easy for kids to help. However, I do not think we could get everything by November 9th. I was planning a project for kids to donate from Nov. 13th to November 30th. Is that too late? Would you still accept items if mailed on the 30th? If not, I completely understand. Yes, we would prefer something sooner than that, because – for example – we’ve got our first Nor’easter since Sandy arriving tomorrow (Wednesday), and our weather just seems to be getting colder and colder since the storm. Is there a way you could have them donate between now and Nov 15th? The school could pack things up on the 16th to ship out, and I could receive these before (hopefully) Thanksgiving. What is difficult, is that everyone will not be staying in these shelters long-term. The hope is that many – especially families – can be moved into more suitable long-term housing as soon as possible. (That’s what Gov Christie and FEMA are working on.) So I want to be able to get these to people while everyone is still gathered in (primarily) one place. Are you taking used items? I mean of hats and gloves. I have a stash my kids have outgrown and probably wore twice. Just posted this on Clothes for Colorado on facebook. We really wanted to find a way to help, and appreciate your efforts. Yeah, my kids are too rough on socks, but hats and gloves are a different story. Thanks for putting his together for the victims of the hurricane. I have a box ready to be mailed tomorrow! I shared this on fb. I didn’t ask permission and I apologize for assuming you may me too busy from the response to this requuest. God bless you and your family for taking this on for the people around you. I appreciate it so very much – both your prayers and your generosity! Thank you!! question: Recently when mailing a box, the carrier told me they couldn’t/wouldn’t deliver to a P.O.Box…is there an associated street address? Carriers such as FedEx and UPS will not deliver to P.O. Boxes, as they deliver packages door-to-door. There is no official Socks for Sandy office, as I’m it – basically running this as a one-woman show, with help from my blogger friends across the country! Sending you box from your local post office is your best bet. Thank you Sandra, for your thoughts, prayers and your support too. I look forward to receiving your box and giving it to those who need it most right now! 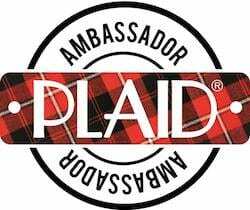 I will be sending a box from Austin, Texas. I will mail it Friday. Saw this posted on PINTEREST and was SO INSPIRED!!! I posted to FB and started calling friends. 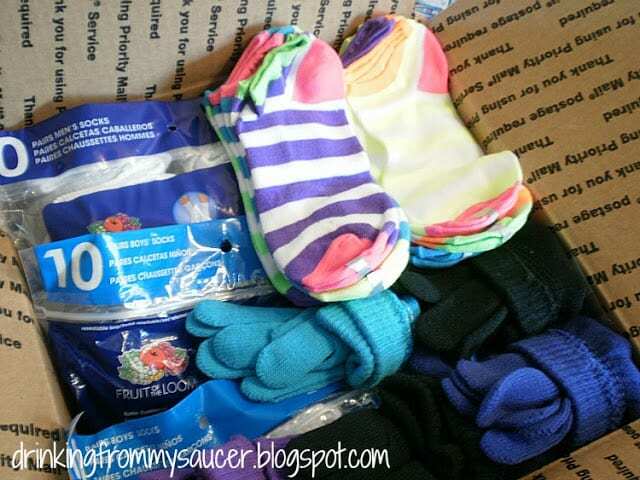 I have 3 boxes full of nice, warm items to send, and more coming!!! I will have them on their way to you before weeks end!!! I appreciate it so very much! Please pass along my thanks to your network of friends too! Thank you so much Bonnie, for your support and your prayers! Meant to tell you I posted a button on my blog side bar about Socks For Sandy. Awesome! Thank you for sharing this with your readers too! Thank you for this Laura! It’s so good to know that our donation will actually get to the right people! My 4yro helped me go through her clothes and we gathered a box full of clothes, boots, and snow clothes, she was very proud to know that she was helping another little person. Shipped today. Thank you Carrie, and please tell your little one that I said thanks as well! What a great idea… Tomorrow when I get up (I am working nights).. I am going to go through all our stuff and send some.. I know I have lots of hats and gloves that I don’t use… and go out and buy some socks.. Thanks for doing this and let the ones of us that are further away able to help in some way. Thank YOU Marly! I so appreciate it! What a wonderful idea. I’m glad you and your family are okay. Thanks Ingrid! At some point I’ll have to share what it was like evacuating with the cats, especially Aliza who is a formerly feral kitty who is not easy to get into a cat carrier: for a senior kitty she can run very fast if she’s scared to death. But we were not leaving without them! 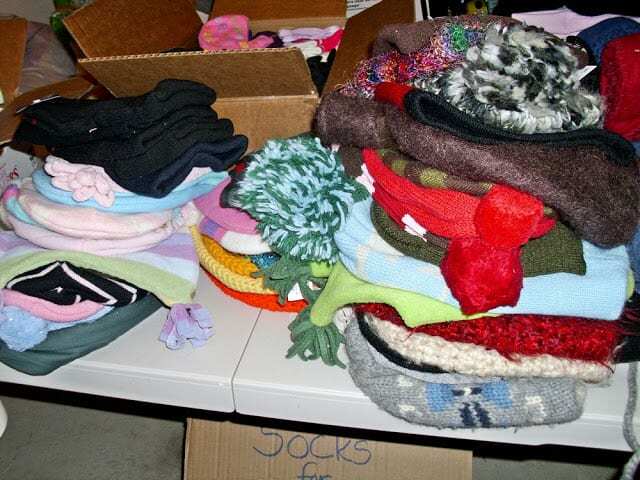 Just posted 3 boxes of hats, mittens etc. There is a story behind them. They were originally made for our local library’s annual mitten tree. My friends buy the yarn and I stitch. This year I was recovering from a hand injury and learning to loom knit was my PT and my salvation. Tears and cheers. I am so glad there was a big stash to send on to you. I am originally from CT and know what November is like on the coast. Here it is still sunny and warm and your need is so much greater than ours and this is something practical we can take part in. Some of the scarves are for pretty, not warm. They might be better off donated to a raffle or other fund raiser as they would probably raise more money than be warm. That was the plan when I made them. Obviously it is up to you where you see the need. The rest of the story is that my friends donated the postage. I was at the PO and several people asked about the address on the boxes. People in line donated cash so that we could upgrade them to priority so they would get to you quicker. Dear E in Utah: E must stand for Exceptional, for that is what you and your friends are! You just brought tears to my eyes with your story. And for the scarves that might not be so warm: I’m 100% positive they will be appreciated as a lovely accessory that women (who lost every single thing) can wear on the job or to church, going out, etc. Thank you, thank you, thank you! Oh! I was so focused on warm stuff it totally slipped my mind what a morale booster something pretty would be. Thanks for pointing it out. I wish I had a dozen more to send. I just sent a box of hats and new socks. We don’t use those things here in south Florida so I got all the warm hats from the thrift and new socks from Wal-Mart you should get by Tuesday is the best I could do. I also sent a blast out from our 2012 ning site to over 3000 people about this, I think you may get overwhelmed in the joyous way! blessings, lady. I was happy to do this. Bernideen’s (my shop in Colorado Springs)is sending some today. Some new and some used/good. This is a wonderful project. Hi! do you mind if I use the image on the top? I am posting about how to knit socks in the next few days, since I’m making some for my friends who got flooded . I used to live in NYC and I would have been one of the people without power and heat for a while. Thanks so much Donatella! (And glad you already saw that you can use the logo/button!) I appreciate you sharing this project with your readers! never mind! I just read the FAQ and saw that I can use the logo/button! I will post it on my blog!! Thank you so much Brenda! I appreciate it very much! Please share my thanks with everyone on your end who contributed the hats, scarves and socks too! Hi Laura, Sent a box last week. You should have it by now. The retirement community I live wanted to send a box of hats, scarfs, and socks. In the mail Sat. Bless you for caring!! Hello…….from some hurricane survivors to another……our box of hats and socks are in the post today! Thanks for such a good idea and sharing! From your friends in Florida…..
Just got a box shipped priority mail before our little post office closed! Full of socks and undies (all sizes). Really wanted to express my gratitude to you for throwing yourself into this wholeheartedly and organizing everyone like this. My 10 year old has been involved and he is learning an important lesson of how he can easily impact and help comfort others who are going through difficult times. BIG HUGS to you! Thanks so much Sherry for saying that! I do love the aspect of kids helping those in need – which I think this project does moreso than simply donating money. (I’m not knocking donating money…but sometimes I think kids need an actual project to get involved and enjoy too while they are learning life’s lessons.) Hugs to you! Mine went out last Monday. I hope they are there ow. Prayers and love coming your way. Thank you Alice, for your support as well as your prayers coming this way! I really appreciate it so very much! I sent a box from Canada with about 75 pairs of hand made mittens for kids that were made by an elderly lady, and gloves, hats and socks in different sizes and colors earlier this week. I hope you got it by now. I didn’t send a note with it because I didn’t think it was necessary and I didn’t expect a note back. I know you will give them to whoever needs them. I hope they are helpful and useful and that they make a difference in some way. Take care! Thank you so much! The handmade mittens will warm many little hands and provide comfort at the same time, so please extend my thanks to the woman who made them! And thank you for all the contents in the box too! It really helps! My 13-year-old son read about Socks for Sandy and decided that he wanted to help. He collected about 80 pairs of socks from the kids in his church confirmation class, and I am mailing these today. The kids had two days’ notice, and they all got behind the idea, Most of their families donated at least a few pairs of socks. Thanks you for providing this opportunity for us to help the people who have been most affected by the disaster! 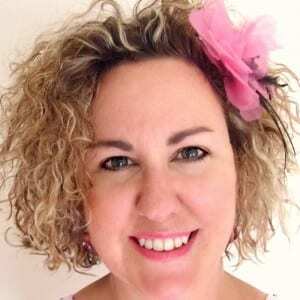 What a great story Sandi! Please let your son know how appreciative I am of his efforts – and those of his confirmation class students and their families too. And thank YOU as well! I work for the reebok outlet and we have organizaed sock drives in stores you shall be receiving, if you havent already, socks from stores through out the united states!!! Wow Maggie – that is incredible! If you have more specifics you can share, please contact me at petscribbles (at) gmail (dot) com. (I spell out the email address to avoid the spam bots!) I’d love to know more about this so that I can promote what you are doing and publicly thank Reebok or the Reebok Outlets! Blessings to all of you during the recovery efforts! I just recently heard about your Socks for Sandy Inniative. What are still in need of? Thanks for asking Anne! 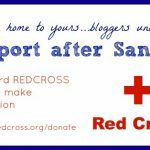 I’ve started a separate blog just for Socks for Sandy, and your timing is perfect: I just finished posting a new update on what we need! Here is the link that you can copy and paste into your web browser to see what we still need.